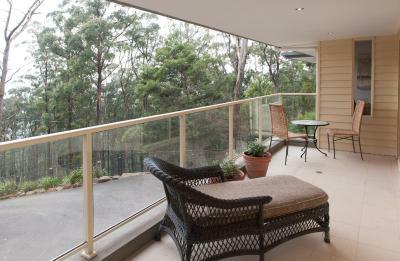 Lock in a great price for Mountain Element Retreats – rated 9.5 by recent guests! Really great little retreat where the hosts went to the extra effort to make sure everything is perfect. The breakfast was brilliant with fresh homemade bread and fresh eggs. A wonderful retreat hidden up the mountain road. 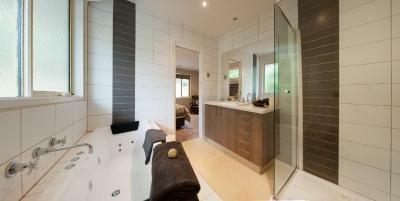 Great layout and fabulous extra touches - breakfast items in the fridge, plus bread, milk and the comfortable bath robe. A BBQ was also there on the balcony for use. 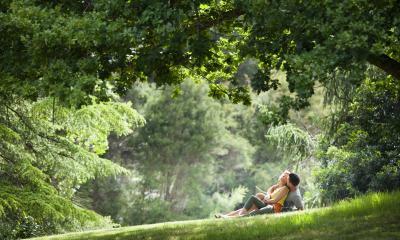 I was alone traveller, but it would be perfect for a romantic get away. Great to escape the city and relax. Air conditioning was comfortable and the fire was great for that chilly evening, soon made the room cosy. A good base to see the Dandenong's and Yarra Valley. The atmosphere created for you. The small details such as the heater going and music playing before we arrived. Having never been to the area before, we were enchanted! The surroundings of the accommodation were lovely and serene. 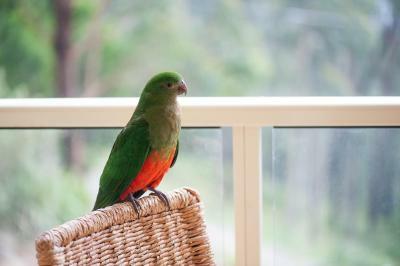 Everything provided in the retreat was of a really high quality and we felt very welcomed. Lovely little apartment, exactly what the photos indicate. Lovely colour scheme and furnishings. Great little extra's: included organic breakfast, welcome sign, spa and 'natural' touches. Lovely to come in on a cold evening and find the amazing heater on with (not real) candles and music. Never met the hosts (which I think is a good thing) but they communicated well via text and stated they were available if needed. 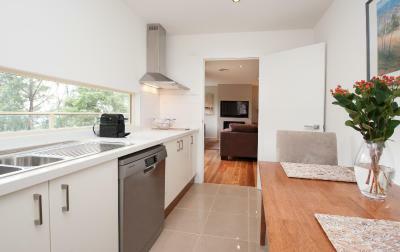 Spotless and well stocked small kitchen. Highly recommended little getaway spot. The facility in the retreat is very good, everything you need to enjoy a leisure time in a comfortable and royal house is there. Friendly staffs support me in all way. Mountain Element Retreats This rating is a reflection of how the property compares to the industry standard when it comes to price, facilities and services available. It's based on a self-evaluation by the property. Use this rating to help choose your stay! 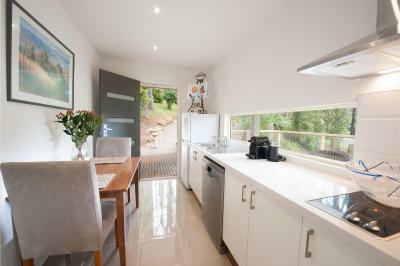 Offering luxurious apartments with a fireplace, spa bath and balcony, Mountain Element Retreats are located in Ferny Creek. A free organic, homemade breakfast hamper is provided upon arrival. 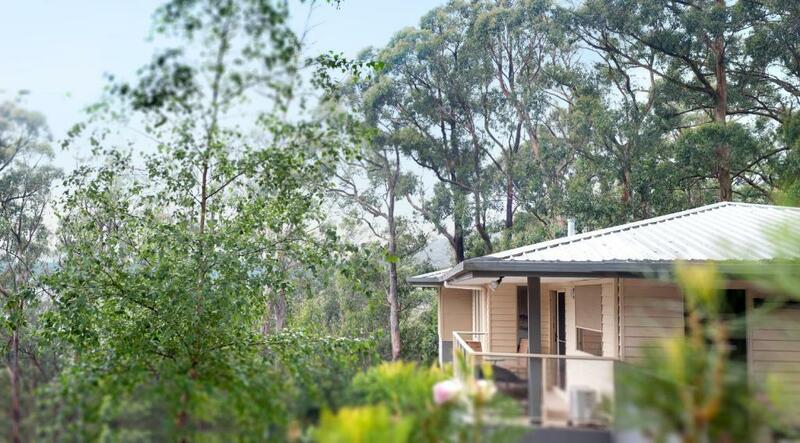 Set alongside the Dandenong Ranges National Park, Mt Dandenong Mountain Element Retreats are 10 minutes' drive from Ferntree Gully. 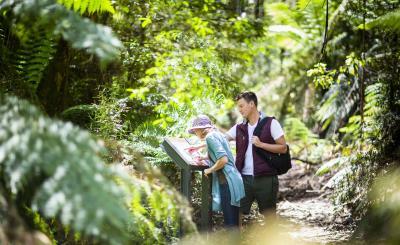 It is 15 minutes' drive from Mt Dandenong Village. 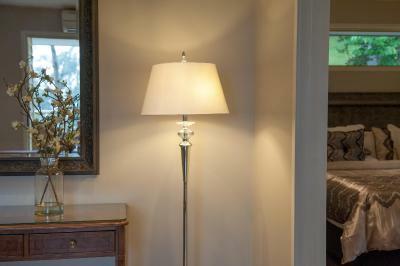 Each of the self-contained apartments includes free WiFi and free onsite parking. 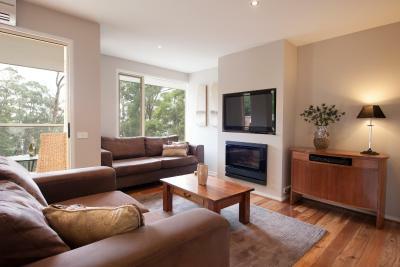 All include a fully equipped kitchen with a dishwasher and a lounge area with a sofa and flat-screen TV. Surrounded by native bush, this retreat is perfectly located for relaxing, hiking and bird watching. 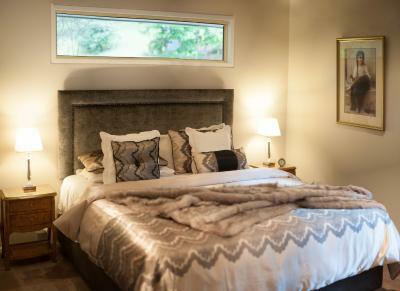 When would you like to stay at Mountain Element Retreats? Take time out of your busy life to relax and indulge with your special someone in our private and self-contained retreat featuring luxurious contemporary and elegant decor. There is a full kitchen that boasts a stone bench-top with cooktop, brushed stainless steel dishwasher, large size fridge, dining table and your own viewing window to the treetops; elegantly appointed king bedroom with superior ‘oh so comfy’ mattress & pillows and divine fluffy robes; double spa in your ensuite bathroom; spacious outdoor covered balcony with BBQ, with incredible views to quite simply take your breath away; the cosy and spacious lounge has a built in gas log fire and recessed flat-screen television and also enjoys the incredible forest views. 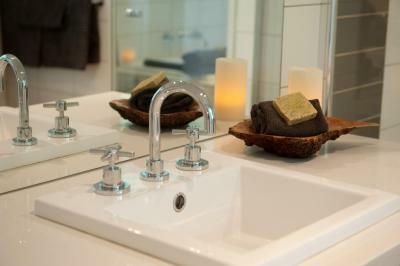 Your breakfast provisions include homemade and organic ingredients as does your toiletries. We are of course eco friendly and clean and launder with non-toxic detergents. House Rules Mountain Element Retreats takes special requests – add in the next step! Mountain Element Retreats accepts these cards and reserves the right to temporarily hold an amount prior to arrival. Please inform Mountain Element Retreats of your expected arrival time in advance. You can use the Special Requests box when booking, or contact the property directly using the contact details in your confirmation. Parking was a little tight, up the steep incline and next to large stones. Could easily knock the car. Would be good to have a roll bar there. The only thing, and I am being picky is the road up there and the driveway are a slight nuisance. There was no "meet & great" The owner came late on the 2nd day and then Only to deliver foodstuffs. We never saw her again. Their "Booking.com" page doesn't say that Breakfast is Supplies Only!! They asked for any communication during our stay to be via Text Messages. Only parking spot for 1 car (but we managed to squish two small cars), apartment is not fully detached but shares walls with the "main" house (not a major drawback but good to know). Shower wasn't as big as expected.